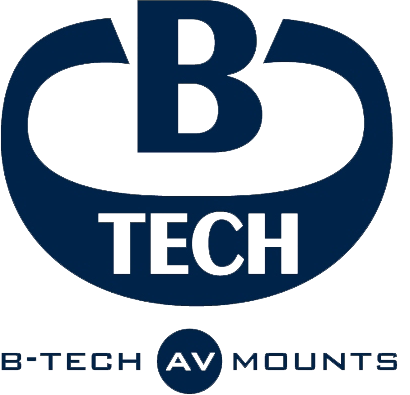 The B-Tech range of AV mounts and supports are of class leading strength and durability. Practical designs with unique B-Tech touches ensure a user friendly, straightforward installation every time. All product ranges are designed to meet the very strict industry safety standards and many products are tested and approved by bodies such as GS/TUV and UL. 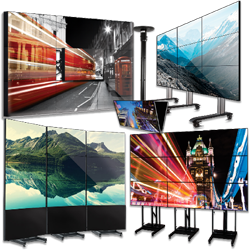 B-Tech also holds membership to many industry organisations such as Cedia and InfoComm. B-Tech backs its ever expanding range of mounts and supports with a no-quibble ten year lifetime guarantee against defects and workmanship. 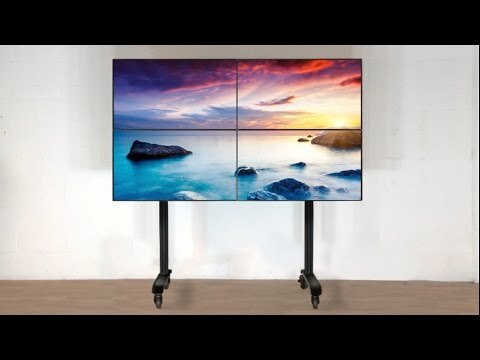 B-Tech’s growing collection of display mounting solutions now includes back-to-back screen mounts and a new video wall mount as well as the more traditional line of ceiling mounts.